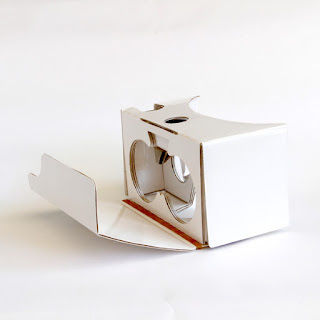 Bring virtual reality to life with this cardboard VR viewer and your phone. Works with iPhone and Android devices. This cardboard VR viewer puts the world of VR right in your hands, for free! Delivery can take up to 2 working weeks depending on the volume of requests they get. The VR viewer is blank, so you can personalize it any way you want!